Today I breathe life into my dreams, rather than my doubts! Tomorrow, you think, I’ll live my dreams. Tomorrow, you think, it will be easier and I will have more time. You analyze and allow your inner skeptic and inner critic to convince us that inaction is safer than action. You allow them to convince you that you can have reward without risk. You forget the wonder, the hope, and the joy you once knew as child. Have you lost your belief? Are you too smart to believe now? Are you too cynical to recognize your dreams knocking? I don’t believe any of that about you – not for a second! I know the miracle you are and the force of nature you can become for your dreams, if only you would. 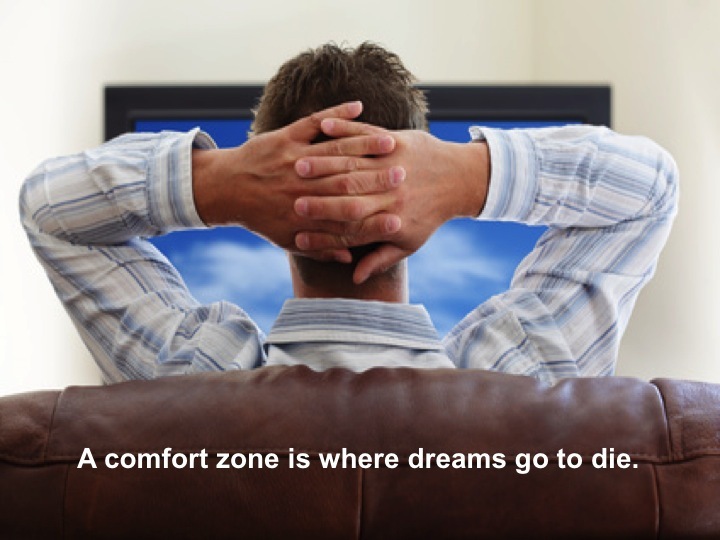 The “Comfort Zone” is aptly named. It is comfortable, but you will never find your dreams there. Today do at least one thing that stretches you. Today believe in just one thing that your eyes can’t see yet. Today trust in one thing that your mind can’t prove yet. That’s a dream – unseen, unknown, unprovable until belief and action bring it to life. Your dreams are waiting for you just on the other side of your willingness to act. I believe in you. Meet me half way and believe in you too!